Best Kodi Skins For 2017: Kodi is one of the best media players. It is free and open source software which is developed by the XBMC/Kodi Foundation. This media player can stream your local network, with extensions for popular services like Spotify, Pandora, and Youtube. 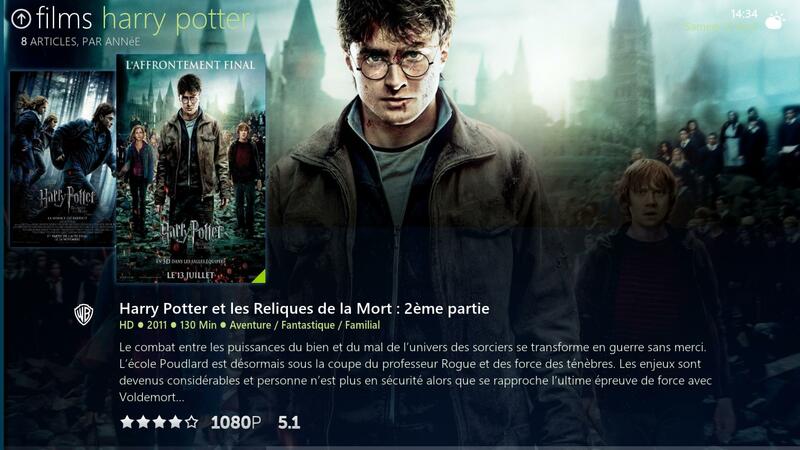 Because Kodi is a free and open source application, it is easy to install on Windows PC, Linux, Mac, Android, Raspberry Pi, Amazon Fire TV, etc. Kodi offers easy ways to watch movies and TV shows, and you can also record the live television. In this article, we will list the Top 10 Best Kodi Skins For 2017 that you can download. The best feature of Kodi is, it is easy to customize. 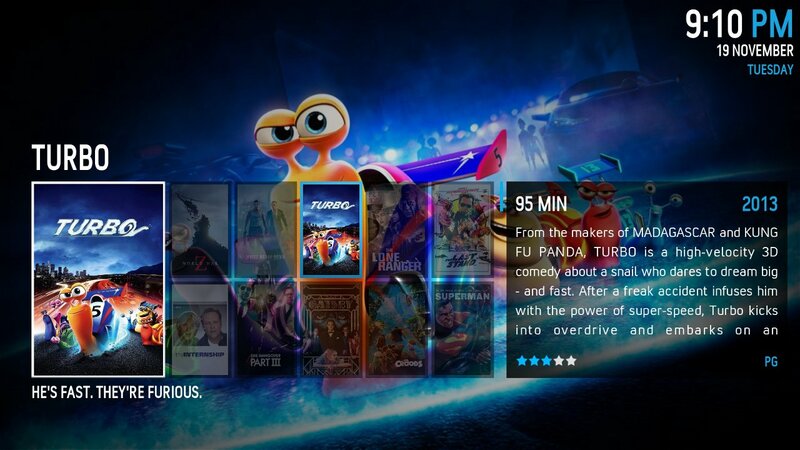 Kodi is available for multiple operating systems and hardware platforms. The software can be used to use the televisions and remote controls. It allows users to play and view most streaming media, such as videos, music, podcasts, and videos from the internet and also storage media. There are various skins available with which you will be feeling perfect. Kodi Skins not only makes your media center to look better but also they often extend the features of your Kodi setup. There are some of the skins can be customized to suit your personal preferences. While there are many free best Kodi skins for 2017 available on the internet, which you can easily download on your devices. When you install the Kodi for the first time, its default skin is Confluence which also happens to be one of the best skin. Let’s have a look at the Top 10 best Kodi Skins for 2017 with detailed information. You can also download them from the various websites available on the internet. Aeon Nox is one of the most recommended best Kodi skins for 2017. It has a futuristic interface, and it is not a lot different from the default Kodi skin (Confluence). This application has a pretty glamorous looking theme. Although it has many eye-catching and bold visual elements, it is light on the system. 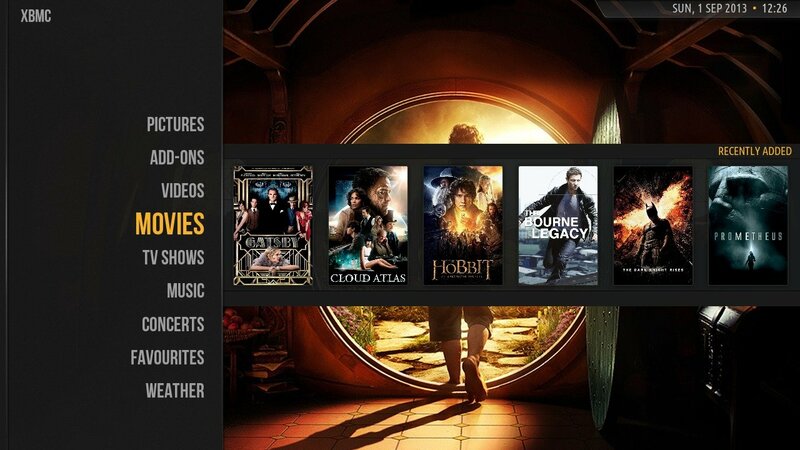 Amber is a lightweight and user-friendly Kodi skin. It offers many useful features and runs smoothly on all the devices. It lets you customize home shelf quickly switch between vertical and horizontal menu bars. But, with a horizontal menu bar, the screen may look a bit cramped, especially when you tap the movie icon and the text details appear in the left pane. This skin has 15 customizable Main Menus, five customizable Sub-Menus, and over 35 widgets. Moreover, this BOX app lets the user change the color accents for the skins. So it will be sure that there will be at least one color that matches your preferences. Moreover, there is mouse and touch support. So, you can use this application on any device without the need to stick with only one input device. Without a doubt, Box is one of the best Kodi skins for 2017 because of its complete set of features offered in a beautiful package. This Black Glass Nova skin is easy to customize and user-friendly as well. Some of its best customizable features are home items, Artwork downloader, skin widgets, bright art and transparent logo, etc. It has a neat design and renders well on displays of all sizes and resolutions which makes it as one of the best Kodi skins for 2017. However, it is also used for the large screen HD display devices. On the smaller screens, it may be difficult to view them. 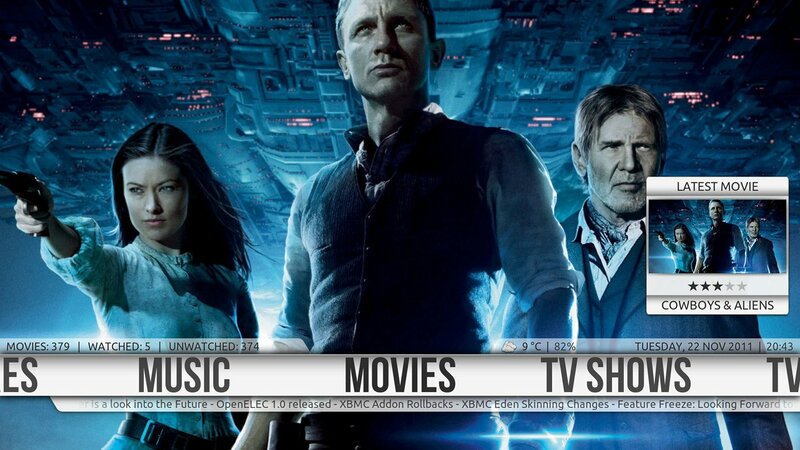 Eminence is a stylish looking app of Kodi skin which offers ease of use and navigation. This application is extremely lightweight and thus runs fast on all the device. It is a clean, clear, minimal skin that is simple yet modern. It gives you an interface which is easy to use with a few customizations on the go. So, we can insist that it is also one of the best Kodi skins for 2017. It brings along a ton of features for the user. This skin comes with beautiful transitions and animations enhancing the look of the interface. By default, it organizes the content in the rectangular tiles. It also supports the customizations of visuals and has a few widgets as well. The best thing about this skin that the icons are large enough so that finding any button is always easy for you. If you want to add add-ons, this skin will give you the best advantage. It works well with all media players.It has a beautiful and clear approach and works well on all devices. The skin is available in multiple colors and is very lightweight. Due to which the media player don’t hang up. Widgets can customize the home menu. Touch support is excellent in the app. 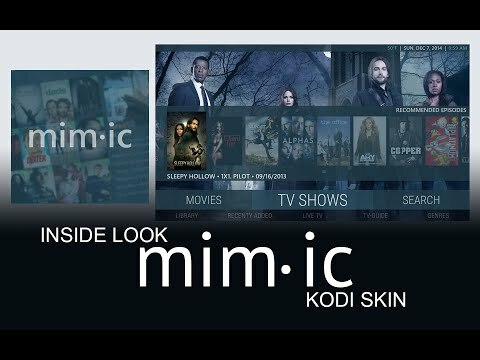 Mimic is highly customizable and features interesting little perks like custom fan art for your movies and TV shows logos, Live TV/PVR. It is also one of the best Kodi skins for 2017 that can be freely downloaded. It is also one of the best Kodi skins for 2017 which can be customized very easily and has great features. One of its most liked features is the vertical home menu in the interface.The home item can be customized by adding the widgets and logos.This skin comes with crisp and clean menus showing sharp text which is easy to read and use. It is also very light hence doesn’t hang the device. Nebula is another clean interface which offers custom home items, Extra fanart, Live TV/PVR, Touch support along with numerous other customization options. 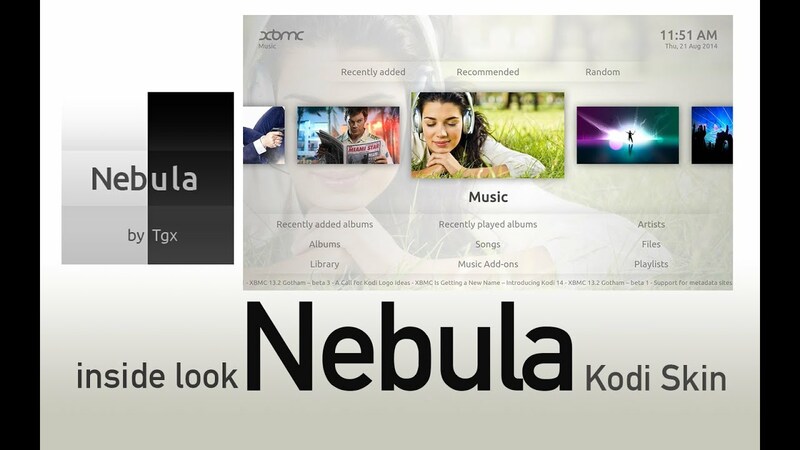 One best thing about Nebula is, it offers touchscreen support for the users. Moreover, the themes on the list can also claim the same. Nebula features light background colors. It may look very simple and easy to use the Kodi skin. It has made good use of the muted colors that look very elegant. This skin has some similarities to the Mimic skin but Omni is more streamlined than Mimic, and it lacks the number of customization options. The primary focus of this skin is the main menu and sub menu which is accessible from every window.This skin has only the List and Wall view, so if you want other pictures, you may have to choose another one. But it is one of the best kodi skins for 2017 because of its simplicity and ease of use. Therefore, try these best kodi skins for 2017 on your compatible devices and also share the information with your friends. And also there are a lot of best Kodi skins for 2017 which doesn’t list in the top 10, but you can also have a look at them.